When searching for your new home, there’s a lot to consider to make sure you find the perfect home for you. The average time you’re likely to stay in a home for is seven years, so you need to consider something that is right for the future as well as your current lifestyle. Seven years is a long time and anything could happen; if you’re buying with a partner, could children be on the horizon? Are there any plans to change jobs and potentially need to commute further? Or could your career lead to you needing to work from home? If your budget doesn’t stretch to a house with lots of bedrooms now, maybe look for something with space at the back or side of the property to build an extension in the future. When looking at homes, try to look at the rooms from a multi-functional point of view. For example, open plan living is adaptable and modern. It’s ideal for entertaining friends and family, as well as for keeping an eye on young children while cooking or doing chores. Consider the size of bedrooms and storage availability. While a box room might do just for a storage now, when the time comes to turn it into a nursery is there still plenty of space for storage around the home? The type of home you choose will depend on your lifestyle, your budget and your personal style. If you’re a fan of the sleek, modern style you might choose a contemporary townhouse with a middle floor lounge and open-plan living space. For those who prefer a more traditional look, a Georgian or Victorian style home might attract you. The home itself might be perfect, but it needs to be in an area that suits your needs. Do some research into what life in the location can offer. Think about the local schools (even if you don’t have children now, you might at some point), consider travel links and local amenities, and check the crime rate in the area. Speak to people who already live in the area, either through community forums online or by asking the neighbours surrounding the house you’re looking to buy. Making sure the area is the right fit for you is equally as important as finding the right home. It’s easy to get carried away when dreaming about a new home, but it’s important to consider what you can afford both now and in the longer term. Budgeting to buy a new home means you need to consider the mortgage repayments, the cost of bills in your new property and the impact on other areas of spending (e.g. if you were to start driving further to work or getting the train). Take a look at our guide to budgeting to buy a new home. Old and new properties both have their benefits, and it comes down to what’s available in your price range and in an area that you want to live. There’s also the home itself to consider. 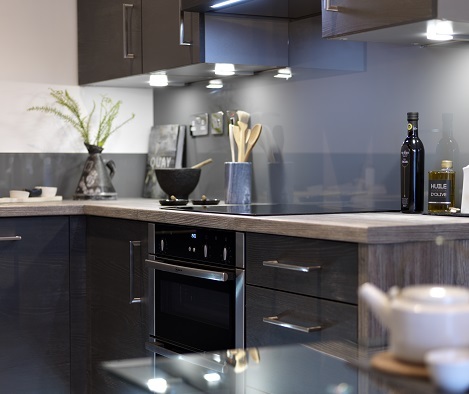 While older properties have characteristics and history dating back decades or even centuries, new build homes offer the option to customise aspects of the home and have the peace of mind of a warranty. For more comparisons between old and new homes, take a look at our guide to deciding if a new build home is right for you.